Living in a very big world can be daunting for a child. Everything their senses experience is new, and things that are a mystery to them are either a huge no-no or frightening. Visiting the dentist, for example, can be one of those experiences. And if the child’s first visit is unpleasant, he or she can develop a fear of the dentist, and this is a fear that cannot be ignored. If you have a child who’s afraid of the dentist, then you know how difficult it is to get your kid in the dentist’s chair without wailing. To a child, the dentist’s office is very foreign, especially with all the whizzes and whirs of the dental instruments. Luckily, as a parent, you can do a couple of things to help your child overcome their fear of the dentist. However, the battle is not going to be easy. Since you’re dealing with a kid, so you need to muster up all your patience and understanding each time you’re visiting the dentist. Introducing the dentist to your daughter or son at an early age does wonders. Once you notice that your child’s first set of teeth, bring them to their first check-up. Your child’s initial meet and greet session with the dentist will help strengthen your child’s bond and trust with the professional. This also gives the dentist the opportunity to acquaint your child with the various dental instruments that make a lot of noise. In order for your child to get used to going to the dentist, just stick to one doctor. Shifting dentists could make your child think that the first one isn’t any good, which can worsen the fear. Additionally, if your child is comfortable going to a particular dentist, severing that bond to try “someone new” can damage the trust they’ve initially built up with their original dentist. Another good trick to ease up your child’s fear is to bring them to a pediatric dentist regularly. 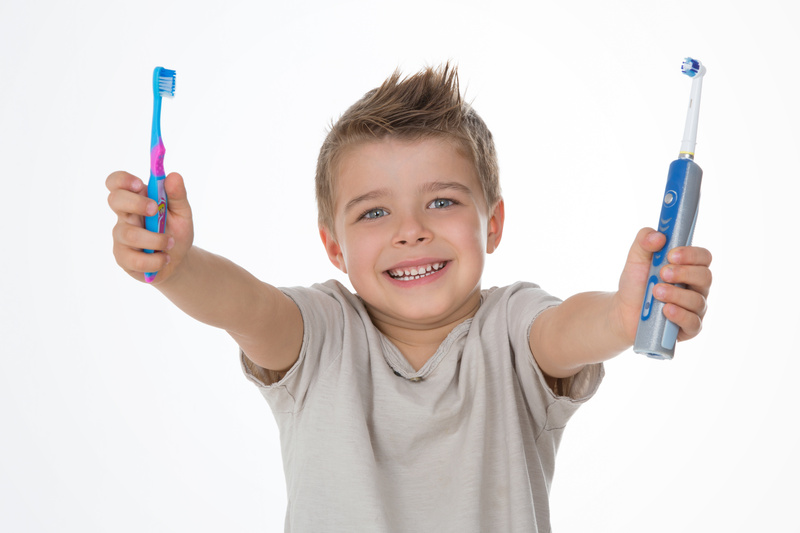 As the name implies, a pediatric dentist specializes in taking care of children’s teeth. And, if you stick to visiting the dentist twice a year (or more if needed), your child will become accustomed to the visits in no time. If your child simply won’t go to the dentist, why not pretend to hold a dentist session at home? Of course, you have to make it playful, so you have to be in fully prepared to play the role of the pretend dentist. You can have your child lie down on a bed or sit on a chair. 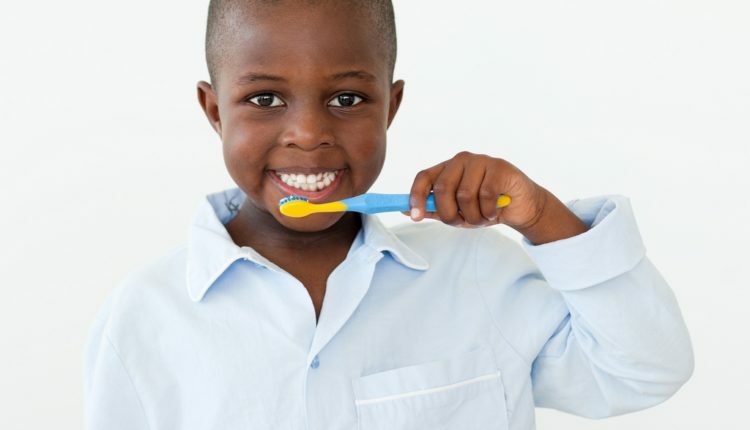 Next, use your kid’s toothbrush as a makeshift dental explorer and brush, and start counting his or her teeth. 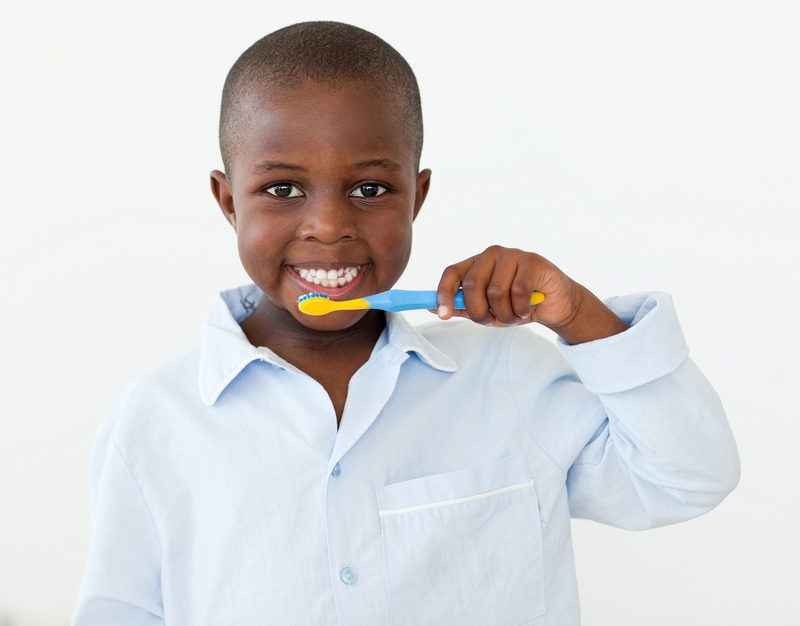 Compliment your child’s teeth from time to time, but reiterate that you (the dentist) need to clean them fully. Be gentle with your child’s teeth when it’s time to clean them. And before you let your kid go, have them gargle some water and then spit it out on the sink. That’s always fun. There are a couple of precautions when playing pretend. Do not mimic the noises dental instruments make, and do not scare your child with your own horrifying tales from the dentist. It’ll just make them fear the dentist even more. When your child is about to begin a dental check-up, it is good to give words of encouragement. However, you have to be careful with what you say. Phrases like “this won’t hurt” or “don’t be afraid” usually scares the child. And saying words like “painful,” and “shot,” could trigger a fear response even more. If you can’t avoid these words, saying nothing is also a good way to support your child. Dental check-ups and dental work should be a family activity. Because when your child sees that the rest of the family finished their session without a scratch, he or she will be delighted to take a turn. As the parent, you can volunteer to go first. Or if your child has a close elder brother or sister, let the older sibling go ahead. Once your child sees that the dentist’s hands are gentle, it will reassure them that they have nothing to worry about. It is also a good trick to show your newly cleaned teeth to your child to make them excited about it. Teaching your kid to not be afraid of the dentist is challenging, but seeing them grow up with numerous dental problems is more difficult. Using these tips when visiting the dentist will help your child become aware of going to the dentist regularly. And it’ll help create a good habit of taking care of their teeth.